Yesterday marked the second and final New York Fashion Week (NYFW) of 2017. Many different designers showcased their latest and greatest designs in one of the world’s most well-known fashion capitals. Buyers and media gathered in New York to review, photograph and contemplate the next big trends in fashion. Although NYFW is highly centered around the brands, designers, models and of course, the clothing, there is so much more behind the scenes. Off the runway are teams of people who support the designers and assist the fashion houses with everything leading up to show time – including the accountants. 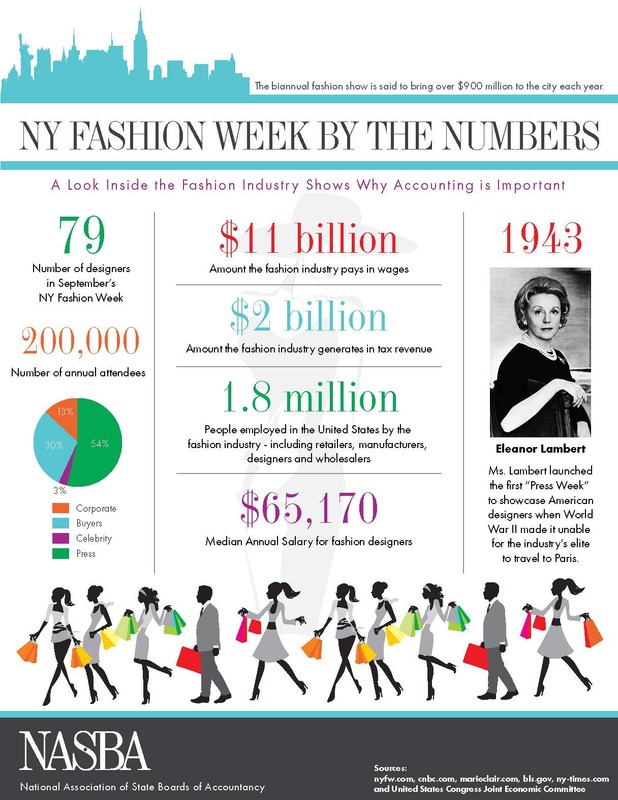 So, do you love fashion and numbers? As a CPA, you can incorporate both into your career! Check out the infographic below for more on NYFW.